WASHINGTON – Running in the D.C. heat and humidity feels more like a sweaty swim, rather than an exhilarating run, which prompts many to take their run indoors through the summer months. Give yourself time to acclimate: Studies support that a fit individual takes about two weeks to acclimate to the heat, which is why those first few weeks of the summer heat and humidity feel markedly awful compared to runs in similar conditions later in the summer. For those who only run indoors, acclimatization will take longer. The best means to adjust to exercising in warm temps and humidity is to exercise in those conditions consistently. Be patient and know that your body will adjust if you stick with it. Recognize that the higher the temperature, the slower the pace: Inevitably, all runners, regardless of their fitness levels and experience, run slower when the temperatures increase. Adjust your expectations and understand that your slower pace is not a reflection of your fitness, but rather, a reflection of your body’s reaction to higher temperatures and humidity. As a general rule of thumb, a runner’s pace slows by 10 seconds per mile for every 10 degree increase in temperature above 60 degrees. For example, if a runner can comfortably run a 10 minute mile in cooler temperatures at 60 degrees or below, his/her pace on a day on which the temperature is 80 degrees would likely hover around a 10:20 minute mile. Listen to your body, especially while racing: The summer racing season is in full swing in the D.C. area, and many will be towing the start line on the 4th of July at various local races, including the popular Autism Speaks 5K in Potomac, Md. and the Firecracker 5K in Reston, Va.
To avoid ending up at the medical tent instead of the finish line, listen to your body and understand that your tolerance to the heat may be different than the runner you are chasing on the course. Take advantage of the water stops, and if ice is available, place some under your hat or bra for extra cooling. Race smart and stop if you experience signs of heat exhaustion, including: chills, excessive sweating, dizziness, nausea or weakness. Dress for success: Cotton is rotten! Wear a mesh hat or visor and invest in some light-colored, wicking tanks and tees to prevent sweat-induced chafing. Speaking of which, get to know your Body Glide and use it liberally, including on the feet to prevent blisters. Hydrate on and off the road: Bring water on your runs — even the short ones. Drink frequently and early during runs — even when you are not thirsty because lack of thirst does not mean you are hydrated. To prevent cramping and to replenish electrolyte loss, particularly for longer workouts/runs, take in some salt tabs to replenish the sodium from sweat loss and an electrolyte drink, such as Nuun or Gatorade. Keep a water bottle with you during the day as well. Be an early bird: Running in the summer is much more manageable in our area if you venture out early, so save the lunchtime runs on the Mall for the fall. If you are like most and have a hard time jumping out of bed at o’ dark thirty, make arrangements to meet some running buddies to make yourself accountable to others. Keep your eyes on the prize: Training in the heat in D.C. is our area’s version of altitude training. Keep in mind that running in swamp-like conditions all summer will yield easier training runs and speedy race times in the fall. 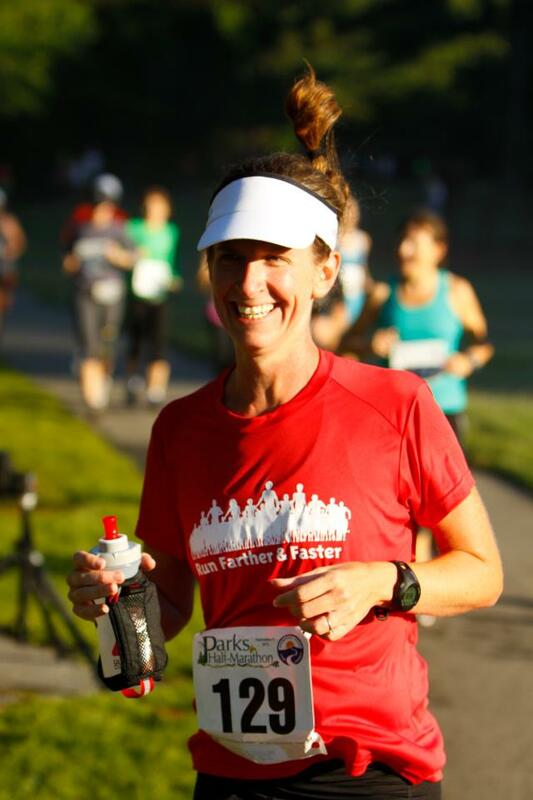 Lisa Reichmann and Julie Sapper, regionally ranked runners and co-founders of Run Farther & Faster, provide personalized group and individual coaching to runners of all levels in the D.C. area and beyond. Check out more of their tips on Facebook and Twitter @Runfartherfast.